So you're never stuck without a vehicle, Famous Four are able to provide a range of loan vehicles at no extra cost*. Ask for details when you book your car in. Famous Four have established an unrivalled reputation as one of the finest independent Land Rover specialist workshops in the UK. We are Lincolnshire's largest independent Land Rover workshop and parts stockist, with a customer base which reaches further throughout the UK and worldwide. We aim to provide every Land Rover owner with the very best value for money workshop experience, with a firm focus on customer satisfaction. All Land Rover models are catered for - from classic Land Rovers and Range Rovers, to the latest Evoque, Range Rover, Range Rover Sport, Discovery, Defender and Freelander models. 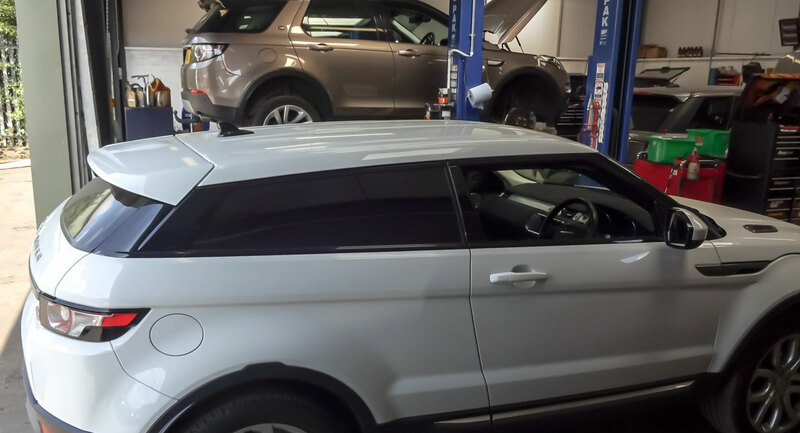 Famous Four are able to update Land Rover and Range Rover Online Service History files to record servicing carried out on 2013 and later models. For more information about our Resotration Services and Classic Reproduction parts click here to visit our new Famous Four Classic website. Click on your vehicle model for details of fixed price menu servicing, or you can contact us by email or telephone if you wish to discuss your requirements.